Walt ディズニー 本 - アラジン 2: The Return of Jafar. Walt ディズニー Book 画像 of Iago, Genie, Prince アラジン and Razoul from the Walt ディズニー Book "Aladdin 2: The Return of Jafar" (1995). 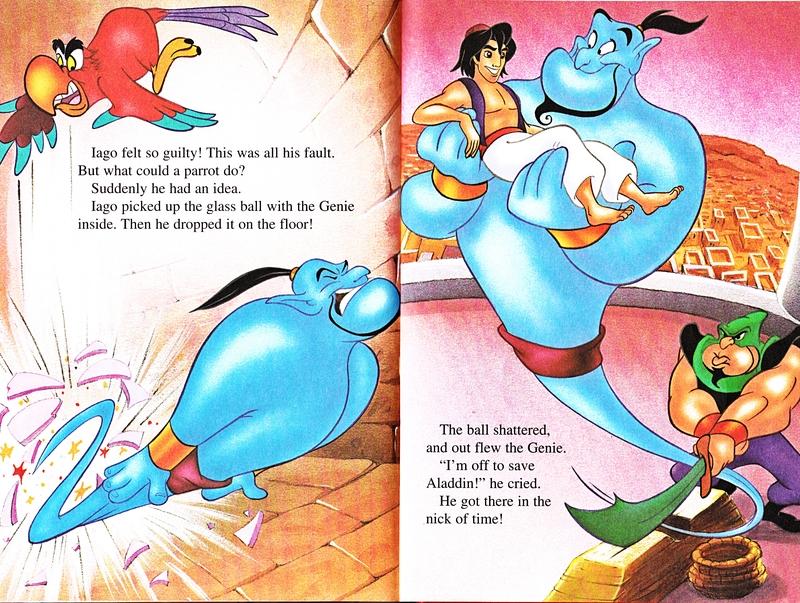 HD Wallpaper and background images in the ウォルト・ディズニー・キャラクター club tagged: walt disney characters walt disney books walt disney book images aladdin 2: the return of jafar iago genie prince aladdin razoul pruefever. This ウォルト・ディズニー・キャラクター photo contains アニメ, 漫画, マンガ, and コミック.